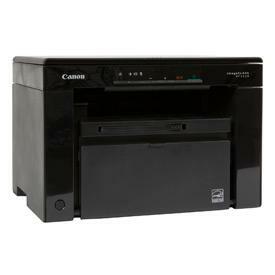 Canon imageCLASS MF3010 Printer Driver, Software Download. The imageCLASS MF3010 is an ultra-compact and easy-to-use multifunction printer that delivers high-quality black and white prints, copies and color scans. It boasts print and copy speeds of up to 19 pages-per-minute (ppm) for letter-sized output, and delivers Quick First Prints in approximately eight seconds. The unit also offers paper handling of up to 150 pages in a front loading cassette. Print sharp monochrome output with resolution up to 1200 x 600 dpi and through use of the platen glass color scans are captured in 24-bit color at an interpolated resolution of up to 9600 dpi. 1. Save the file to an appropriate location, and then double-click the file (double-clicking the file will create a new folder in the same location).